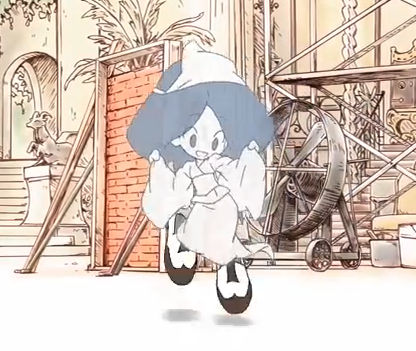 “Gisoku no Moses”, a delightful anime short inspired by Gene Kelly – Nerdwatch! Leave it to Japan to combine a catchy Gene Kelly tap-dance number from “Singing in the Rain” with a cute anime ghost girl, to create one of the sweetest, cutest anime shorts I’ve seen to date. A lot of the world seems to agree, since the YouTube video is now over 300,000 views, and the comments section is filled with all kinds of languages from fans. 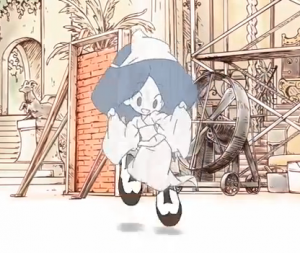 She’s hesitant at first, but soon she starts trying to dance with them, and as the song goes on she breaks into a tap-dance routine just like Gene Kelly’s. It’s kind of bittersweet, as the shoes lose their movement, but in the closing we see a shopkeeper (Named Mose!) 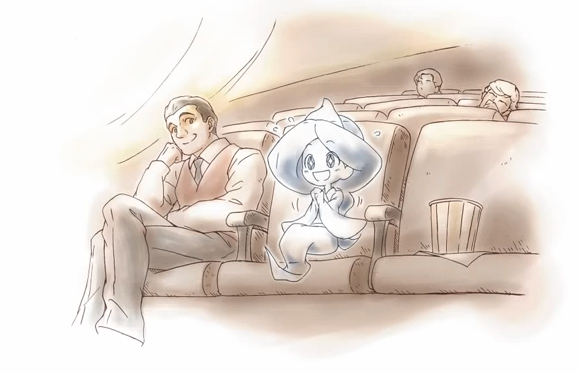 watching the ghost girl looking at a sign in his window for “Singing in the Rain”, and the last scene shows them in a theater where she’s enjoying “Singing in the Rain” with the shopkeeper! This is one to really enjoy! Tagged anime, dancing, Gene Kelly, ghost, ghost girl, haunted, Singing in the Rain, tap-dance. Bookmark the permalink. This popped up on iFunny with a different song playing, so I looked for the original. Was not disappointed. Can’t go wrong with Gene Kelly, and the Wholesome levels are off the charts with this video. I’ll probably watch this another million times throughout my life, its just that adorable and wholesome. I agree, this is the kind of video to watch when you’re feeling a little down. I’m glad Youtube hasn’t deleted it yet, they’re not that heartless yet!